In a previous blog post we discussed how OfficeWriter 10.0 introduced the ability to save an Excel workbook to a PDF document. When working in a web environment it is common to want to send the generated file to the browser for your end user to download and view on their own machine. Save the PDF to a memory stream and call our helper method we just defined. This has the benefit of avoiding disk IO. This may vary if your application actually needs to persist the generated PDF. OfficeWriter 10.0 introduces the ability to save a Workbook, Worksheet, or Area to a PDF document. This makes it possible to produce a searchable, vector-format rendering of your spreadsheet. For this example, we are just exporting some cells with text in them. However, the rendering extensions support more dynamic content as well, such as cell formatting, charts, images, comments, or conditional formats. We could also use a workbook that we opened from a file, that already had contents and formatting applied. There are three ways to save a PDF document: through the workbook, through a worksheet, or through a specific area. Specific PDF rendering options can be specified by setting a worksheet’s PageSetup properties; this will be covered in a later tutorial. If you have not set any of the worksheet’s PageSetup properties, then default settings will be used. You can save multiple PDF files from one workbook. First, let’s save multiple worksheets to a single PDF document. This can be achieved by using the Workbook.SavePdf method. The first parameter is a Boolean; if this is set to true, then only selected worksheets will be saved. Otherwise all visible worksheets will be saved. This allows to either generate multiple PDF documents, each containing one worksheet, or a single PDF document containing multiple sheets. // would be saved to the PDF. Beginning in OfficeWriter 9.1, ExcelApplication’s calculation engine will offer the ability to implement custom formulas. This feature should prove helpful to users whom would like to calculate their own custom formulas or calculate formulas not currently supported by ExcelWriter on the server using ExcelWriter. This tutorial will show you how to implement these formulas. 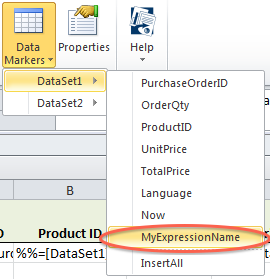 Create a class that implements an interface provided by ExcelWriter called IFunction. The IFunction interface implements a method called Calculate. Inside of the Calculate Function, code the logic of the formula you would like to implement. The first argument of Calculate is a list of FunctionValue objects. FunctionValue objects are how we pass values in and out of formulas. FunctionValues have several properties available to them, so please see the documentation for more information about how you can use the properties in your formula logic. The second argument of Calculate is the cell that contains the formula. Please see the documentation for more information about Cell objects and their available properties and methods. Once the formula is written, register the function using Workbook.RegisterCustomFunction. Once your formula is registered, you can use WB.CalculateFormulas to have ExcelWriter calculate the value of any cells that use the formula in your Workbook. If you are generating Excel output using ExcelApplication.Save, please note that if you have implemented a custom formula that it is not recognized by Microsoft Excel, the end user will not see the calculated values in the output workbook when opened in Excel. To get around this issue, you can use Workbook.RemoveFormulas or Worksheet.RemoveFormulas to remove the formulas from the worksheet or workbook, while leaving the last calculated values in the cells. //Optionally remove all formulas from the workbook, so only values remain. This is good in case you are using a custom formula that Excel will not be able to calculate. If you have ever filed a support incident with SoftArtisans Technical Services concerning your OfficeWriter reports, you know that one of the most important steps in resolving an issue is having a Technical Services Engineer reproduce it. While there are many components to reproducing a customer issue, one of the most critical aspects is having sample data to run the affected report with. Unfortunately, this can be a special challenge because a Technical Services Engineer does not have access to your data sources. The inability to run the report can delay or even halt Technical Service’s ability to troubleshoot an issue. However, do not fret, as CSV files can save the day! Download the attached template Collecting_Data_For_SA. The template will allow you to gather data for up to 10 datasources with up to 35 columns each. If you have a custom web application that uses ExcelTemplate: run this template through your application. Create a copy of your affected RDL. Open the copy RDL in the OfficeWriter Designer or OfficeWriter Designer .NET for Microsoft Excel. 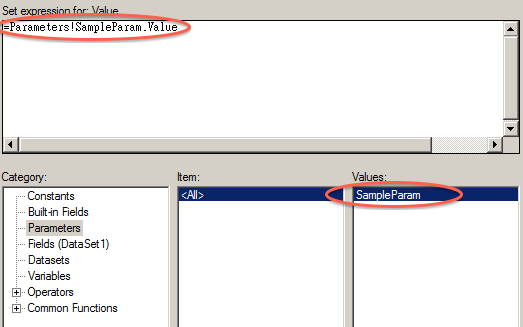 Click “Import Template” in the Designer tab and overwrite your existing template with the collecting_data_for_sa file. The copy rdl should now contain the collecting_data_for_sa template. Upload the rdl to SSRS and run the report. The original OfficeWriter Designer allowed users to add the equivalent to SSRS expressions in their Designer report by using a feature built-in to the Designer called the formula manager. However, in recent months, SoftArtisans has released a new, beautiful, more robust designer called the Designer .NET. The only complication is that the Designer. NET does not yet have a built in formula manager. Fortunately, you can still add many calculated values, parameters, and other report information to your report by using SSRS calculated fields in Visual Studio. NOTE: Currently Reporting Services does not allow Visual Studio calculated fields to contain user-defined variables, aggregate, RowNumber, RunningValue, Previous, or lookup functions when rendering the report. Open your RDL in Visual Studio. 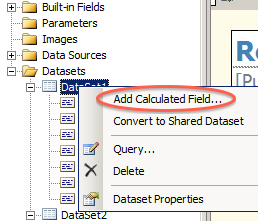 A dialog should appear with two columns: Field Name and Field Source. Click the fx symbol to create a formula for the value of your field. In the new dialog, you decide what formula you want your field to express. Let’s say you want to display a parameter in your report. In this case, you would click “Parameters”, and then double-click the parameter you want to add. You should now see a formula at the top of the window. Hit “Ok” and exit out of the dialogs. Save your RDL and open it in the Designer .NET. While designing the report, add the data marker that corresponds to your expression into your report. Process Monitor is a great tool that can help you troubleshoot applications when error messages alone just aren’t enough information to solve a problem. Process Monitor works by logging in-depth about the actions of particular processes. It will give you in-depth information about file access, registry access, threading, and permissions. In this how-to tutorial, we will show you how to collect information on the process that ASP and ASP.NET web applications run on – wpw3.exe. Go to the page in your web application before your error occurs. You need to be easily able to trigger the event that causes the error while ProcMon is running to avoid collecting too much information. A dialog box will appear. Please make sure that the Capture icon (shaped like a magnifying class) is enabled. There should NOT be a red “X” through it. Go to your web application and trigger the error. Once the error occurs, go back to ProcMon and click the Capture Icon to stop capturing events. The first thing you should do when examining the logs is to see if anything in the “Result” column is not “SUCCESS”. Please take notes of any warnings or errors. Once you find the errors, determine if they are relevant to your issue. If you would like to save the logs, you can by going to File -> Save. When you want part of your WordTemplate document to repeat on every page, you must set a PageBreak on that page. However, if you set a default PageBreak, Word will automatically insert what is called a Page Break After. The Page Break After will result in an extra page at the end of your document. In order to fix this, you will need to set a Page Break Before at the beginning of the page you want to repeat. Click on the top left corner of the page where you want your page break to occur. In the “Home” tab, there should be a “Paragraph” section. Click the arrow on the bottom-right of the Paragraph Section. Go to the “Line and Page Breaks” tab and check the “Page Break Before” option. Word will have now inserted a PageBreak before at the spot where you cursor lay in the document. Your document should now generate the correct number of pages. Sending OfficeWriter output in an e-mail is possible while either using OfficeWriter in .NET or with SSRS integration. When using the OfficeWriter .NET API, you can use the .NET MailMessage class to send your OfficeWriter output as an attachment in an e-mail. In SSRS, you can send the output as a subscription-based e-mail. In order to send OfficeWriter in an e-mail output using .NET, you need to use the MailMessage object. If you save the workbook, document, or presentation to a stream, you can create an attachment out of the file in the stream. This attachment can be added to the MailMessage object and sent to the workbook’s or document’s end users. If you are integrating OfficeWriter with SSRS, it also possible to send OfficeWriter output by using subscriptions. Be aware that the credentials to run the report must be stored inside of the report. Be sure to select either “Excel designed by OfficeWriter” or “Word designed by OfficeWriter” as the rendering format. Your new subscription should now appear in the Subscriptions list for your report and will run at the time you specified. What version of OfficeWriter do I need for 64-bit support? Full 64-bit support for OfficeWriter’s pure .NET classes was introduced in OfficeWriter 3.9.1 (ExcelWriter 6.9.1). The OfficeWriter .NET dlls are compiled with the /anycpu flag so they will work fine on either 32-bit or 64-bit systems. OfficeWriter’s COM dlls are still 32-bit. If you have old ASP.NET applications that are still using the .NET wrapper classes for ExcelWriter COM, you will need to run those applications in a 32-bit application pool or change your code to use the pure .NET objects. See Using OfficeWriter COM. What is the difference between the 32-bit and 64-bit installers? There are no significant differences between OfficeWriter’s 32-bit and 64-bit installers. Both contain the same .NET dlls which are compatible with both 32-bit and 64-bit systems. You can run the 32-bit installer on a 64-bit OS. However if you are installing OfficeWriter in SSRS integration mode, the 32-bit installer may have trouble finding a 64-bit instance of SSRS. At times customers have experienced OutOfMemory exceptions when generating very large Excel reports with OfficeWriter. Generating reports with millions of cells will necessarily use a significant amount of memory, especially when using the ExcelApplication object. Note that ExcelWriter is not just keeping a file in memory, it is populating an entire object model in order to be able to manipulate the file. For example, each cell has associated objects for the value, formula, formatting, and more. The ExcelTemplate object (which is also used behind the scenes in our Reporting Services integration) has a smaller object model, so it uses less memory than ExcelApplication. However, a very large report can still require a significant amount of memory with ExcelTemplate. This article provides tips about how to avoid memory issues when generating large reports. Many performance improvements have been implemented in ExcelWriter over time. To take advantage of these optimizations, upgrade to the latest version when possible. See the OfficeWriter Change Log for details about changes in every release since OfficeWriter version 4.0 (ExcelWriter version 7.0). Populate data with ExcelTemplate, and use ExcelApplication beforehand for any necessary runtime file manipulations. ExcelTemplate is the most efficient way to import data but it cannot make fine-grained changes to the workbook. If you need to modify the workbook at runtime, modify the template programmatically before passing it to ExcelTemplate to avoid having to open a fully populated report with ExcelApplication. See Preprocessing vs. Postprocesssing. Avoid referencing Empty Cells. Any time you touch an empty cell with ExcelApplication, a Cell object (and all its associated objects) is created even if it didn’t already exist. If you need to loop through cells to look for something, used Worksheet.PopulatedCells to get an Area containing only populated cells. Note that PopulatedCells will return cells that have only formatting and no data. For this reason is it important to apply formatting in the most efficient manner. More information about this below. Apply Styles to Columns and Rows, not Cells. Setting styles on a cell-by-cell basis or applying a style to an area, causes a separate Style object to be created for every Cell. On the other hand, if you Set a Style on a column or row, using ColumnProperties.Style or RowProperties.Style, there will only be one formatting record for the entire column or row. Currently there is no option to set conditional formatting at the column or row level with the ExcelWriter API. A workaround is to set the conditional formatting on the columns or rows in your input file, and ExcelWriter will preserve it. If you have a report that requires a lot of memory and is requested by many concurrent users, investigate whether it might be possible to keep a cached copy of the report and serve it to multiple users. Does the data change constantly or only at certain intervals? Are there parameters that tend to be different for every user or do multiple users run the report with the same parameters? If you have multiple users requesting a report with the same data and the same parameters, this report could be a good candidate for caching. You could run the report at a certain time with a background process, or you could cache a copy the first time any user generates the report within a certain timeframe. If you are using OfficeWriter in a custom .NET application, you would implement caching in your own code. If you are using OfficeWriter in SSRS-integration mode, you can use SSRS’s built-in caching functionality. If you have a report being accessed by multiple users that requires a great deal of memory in a memory-constrained environment (i.e. your server is 32-bit or you have to compile your application as 32-bit for some reason), and caching isn’t an option (i.e. every time a user runs the report it is different), then queuing reports may be something to consider. Instead of delivering every report on-demand, you can restructure your application to store the users’ requests, process them sequentially in a background process, and notify the users by email or some other means when their reports are ready. This approach should not cause your users to have to wait much longer for a report than if it was being generated on-demand, but of course the user experience will be a little different. One option is to implement logic in your application to only queue very large reports but deliver smaller reports on-demand. If you are using OfficeWriter in SSRS-integration mode, you can accomplish queuing by using SSRS subscriptions.